Share your experiences with Creon? Q. If the battery has been worse after some time then how much money would it take to put it in a new battery? How much the battery life? how many time I can charge in future? They will give 5year warrenty for battery. & 30k bro new battery. Q. How many long time of battery's life ? If I want to change battery, so what is the process of ordering battery ? Q. When we can buy this. There is no official deadline for its launch yet. 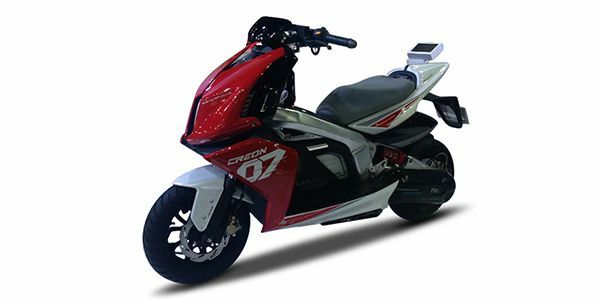 Claimed range is 80km, which might not be much, but the Creon does gets rapid charging solutions. So you can charge the batteries from 0 to 80 per cent in just 60 minutes. Q. Does the battery is portable for charging??? Q. How can this bike run 80km in single charge? And can it perform like regular bike? It would be difficult to give any verdict as of now regarding its performance as this hasn't been launched yet. though, we would suggest you to wait for for its launch.